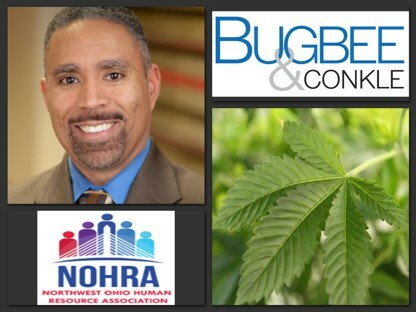 Attorney Mark Barnes will be presenting a Drugs in the Workplace webinar for Northwest Ohio Human Resource Association (NOHRA) members regarding implications of the legalization of marijuana in the workplace. Some issues which will be covered include application of legalization of marijuana to specific laws in Ohio: OSHA, ADA, Workers’ Compensation; and effect on employer policies such as prohibitions, testing (for cause and random), safety policies, hiring and discipline. This webinar will take place October 13, 2015 from 12:00 p.m. to 1:00 p.m. and will be approved for continuing education credit. Please note this webinar is now available to everyone for a $30 charge. Free admission for NOHRA members only. To register or become a NOHRA member, click here.